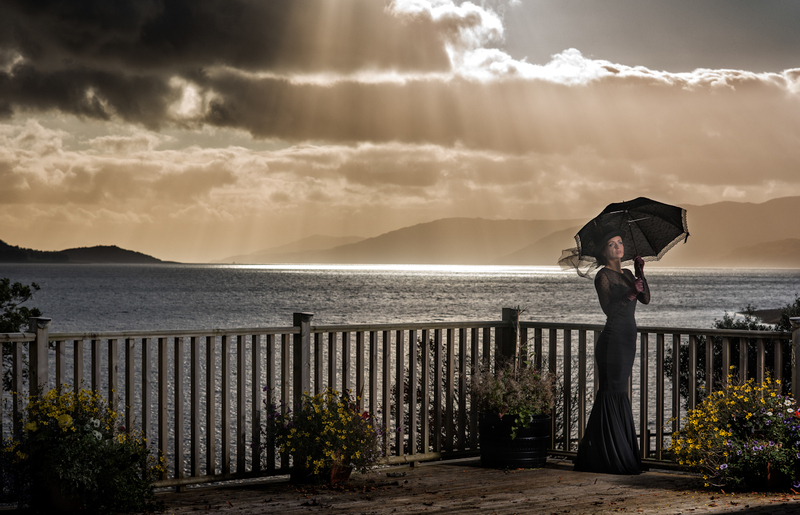 Drama unfolds as autumnal light shines spectacularly at Onich in The Highlands. 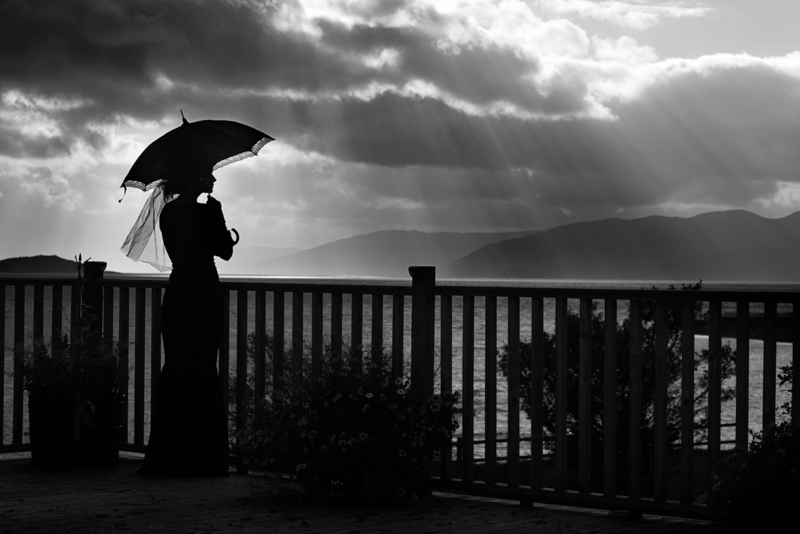 Artist Claire Innes reprises her role as the mysterious leading lady of yesteryear Hollywood glamour. 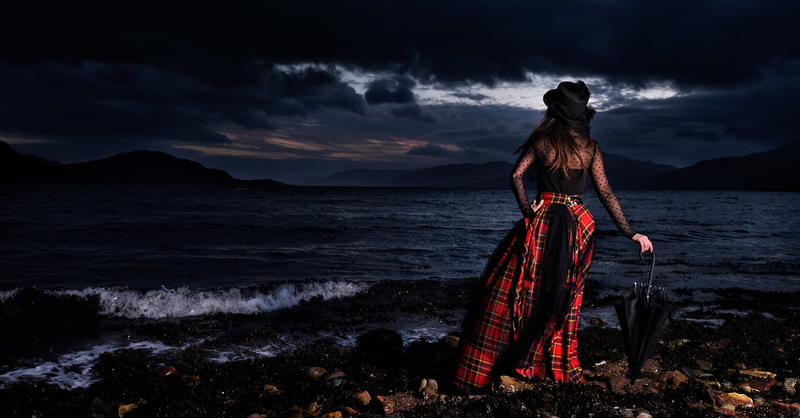 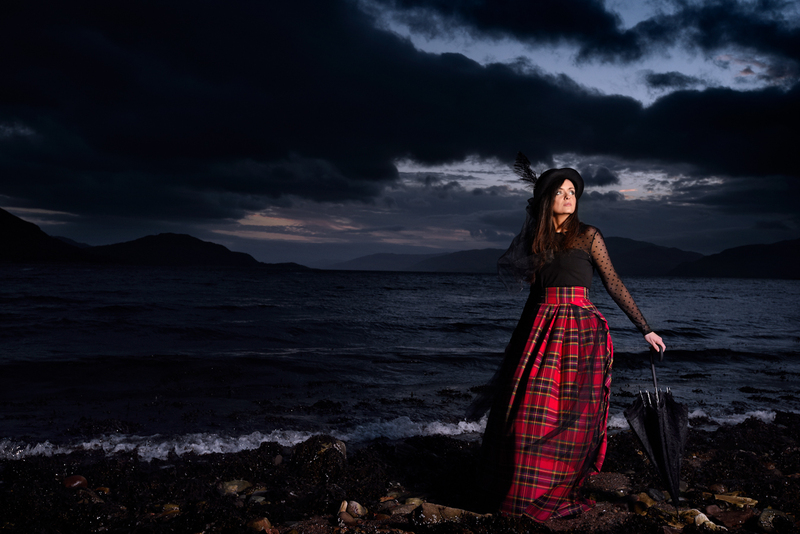 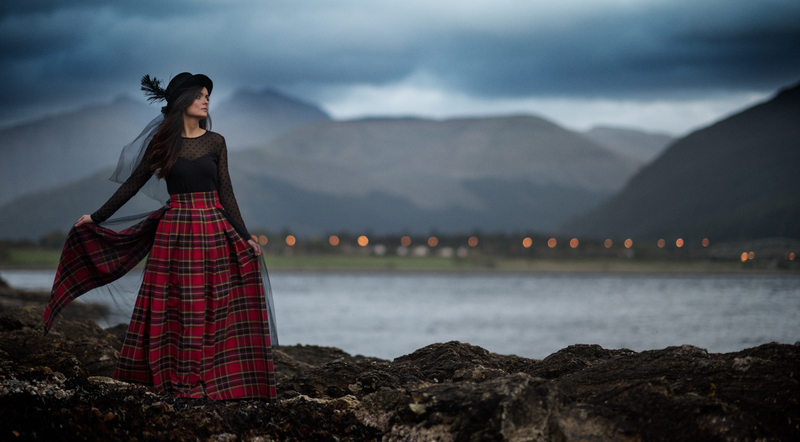 Tartan skirt by Scottish designer Lorna Gillies.